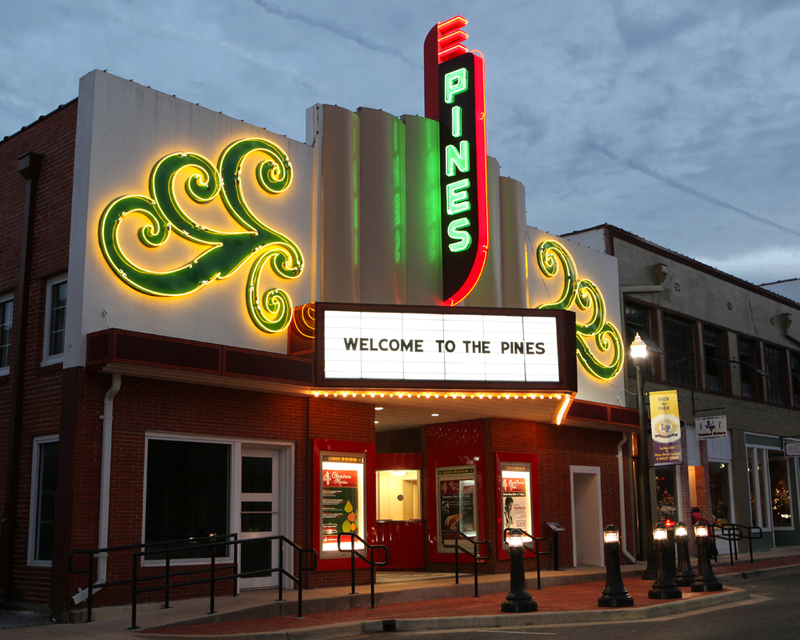 Located in historic downtown Lufkin, the newly refurbished and renovated Pines Theater is truly a community gem. This 459-seat multi-use venue offers a wide variety of programming to attract and entertain our patrons. Over the years, we are proud to have featured artists such as Paul Byrom, Jennifer Holiday, Danny Wright, The Harlem Gospel Choir, Sandi Patty, and Mike Farris, just to name a few! The Pines is also home to some big screen blockbusters and romantic classics during the year on its silver screen. Make sure you mark your calendars for a fun-filled outing for the entire family or just for you and a special someone! The Pines Theater is also a fabulous place to host a party or event! Whether it’s a corporate meeting or a wedding, The Pines is the most sensational venue in East Texas. The historic charm of the theater will add a unique touch to your special event!